Business cards are a great way to share your contact information during networking events or even when you meet a potential customer or business partner. That’s why it’s important that your business card not only reflects your brand but has a professional design that will help you make a great first impression. 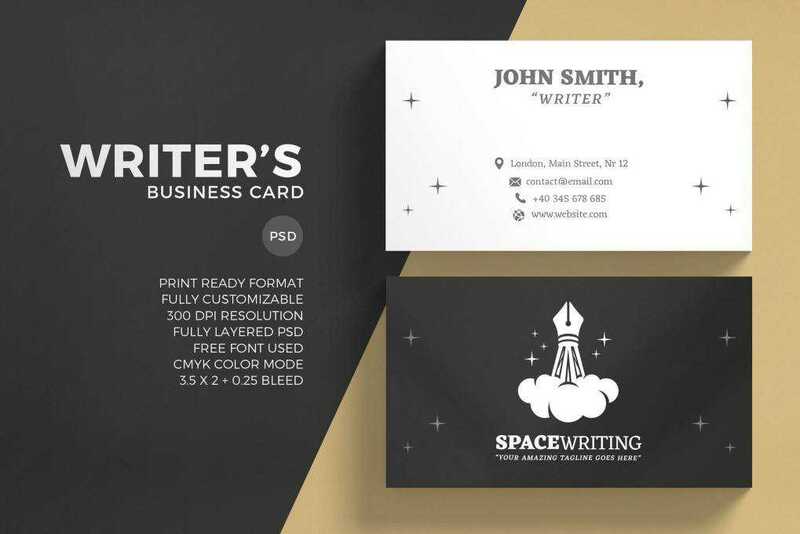 Below, you’ll find the best business card templates and mockups that you can use the next time you need to design a business card for your client. We also have collections of the best poster templates, social media kits, flyer templates, stationery templates, project proposal templates, and brochure templates. 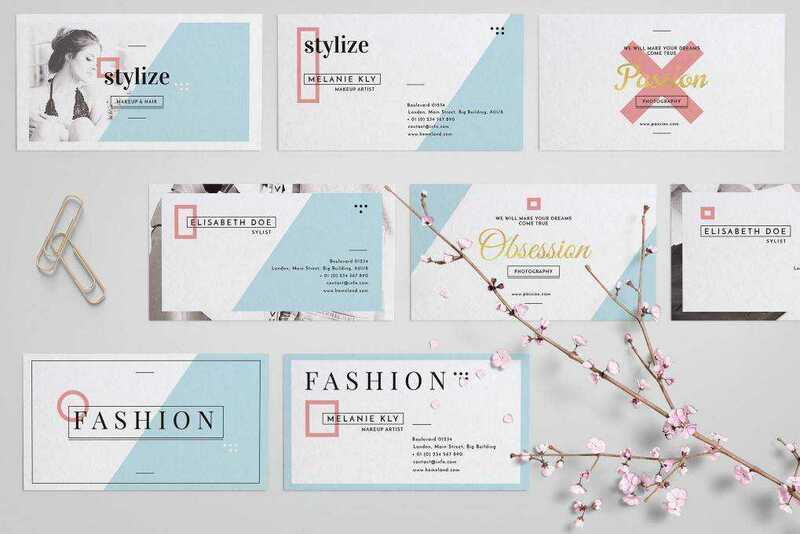 The first business card template on the list would be perfect for a feminine brand or business. It features a gentle color scheme and comes with four design variations in Adobe Photoshop format. 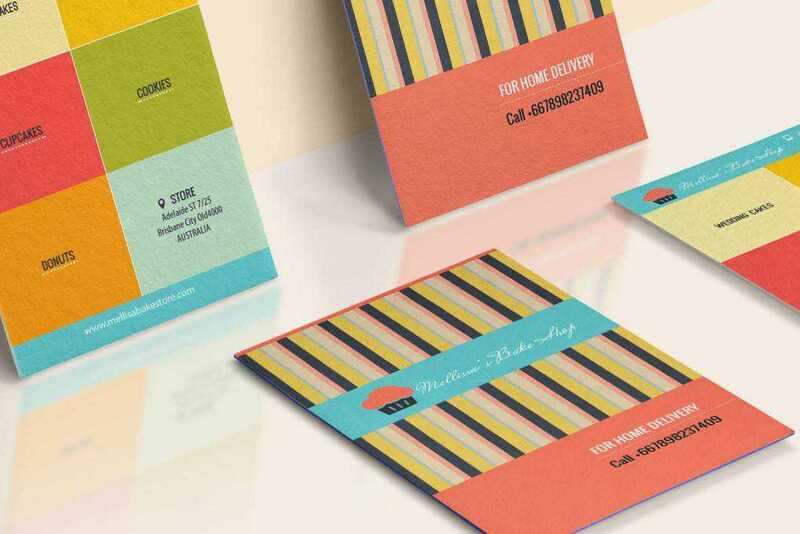 The Bakery Shop Business Card features a colorful design that’s perfect for any startup or a young business. You will receive a documentation file as well as a Photoshop file that can easily be edited to use your brand colors and fonts. The Business Card is a feminine business card template with floral and watercolor design. It would be perfect for any feminine or a fashion brand. The template includes well-organized layers and can be edited with Photoshop. 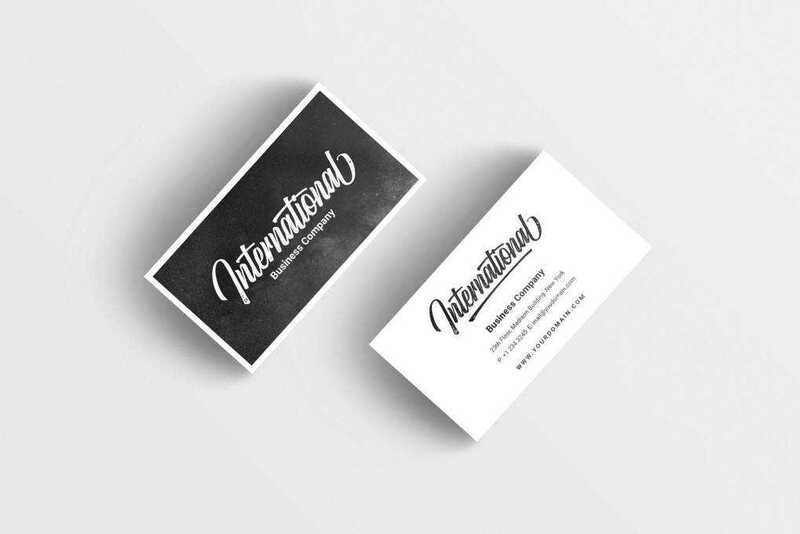 The International Business Card template features a clean and modern design that would be perfect for anybody looking for a more corporate style for a business card. You can easily insert your own images and elements through the use of smart objects. 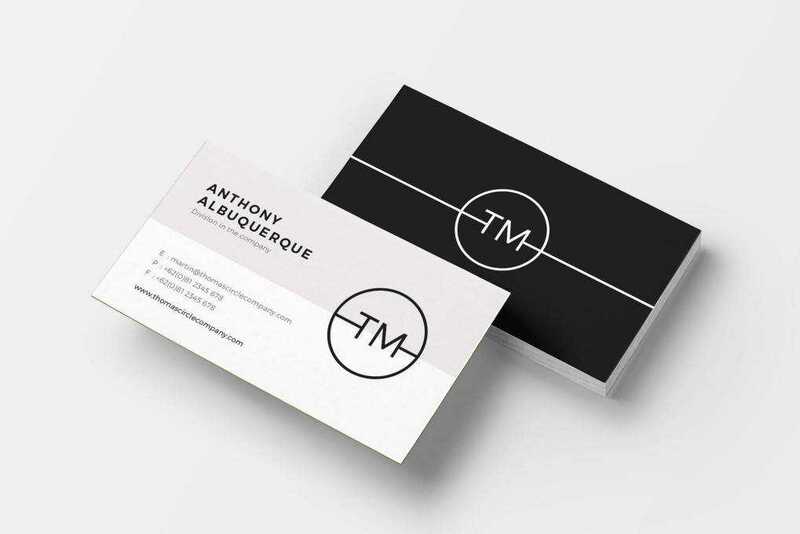 The Minimalist Business Card template features a combination of solid color background paired with a pattern. The template is easily customizable with Adobe Photoshop and it includes well-organized layers. 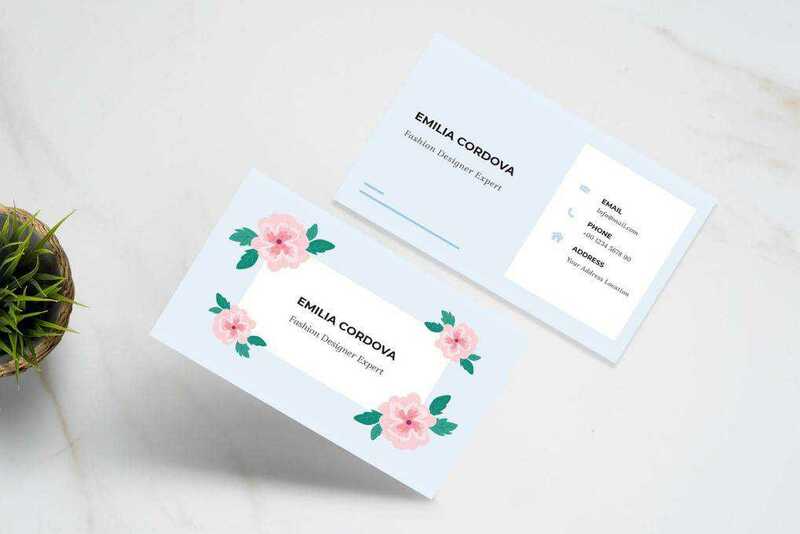 If you’re working on a business card design for a feminine brand than the Floral Business Card Template is a great choice. The Template features gorgeous imagery and elegant typography and it was designed in Adobe Photoshop. 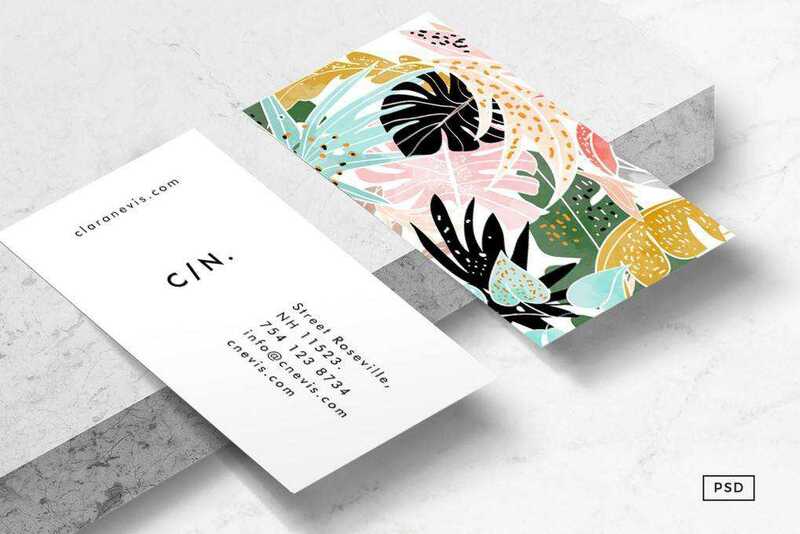 This Floral Business Card features a more playful look with a modern design and a unique layout. You’ll get both the front and the back design and you can use it as a starting point for any fashion, photography or lifestyle brand. The Creative Writer Business Card template comes with a modern and fun design that’s easy to customize. Use Adobe Photoshop to customize the colors and the fonts, replace the information with your own, and the file is ready to be printed. 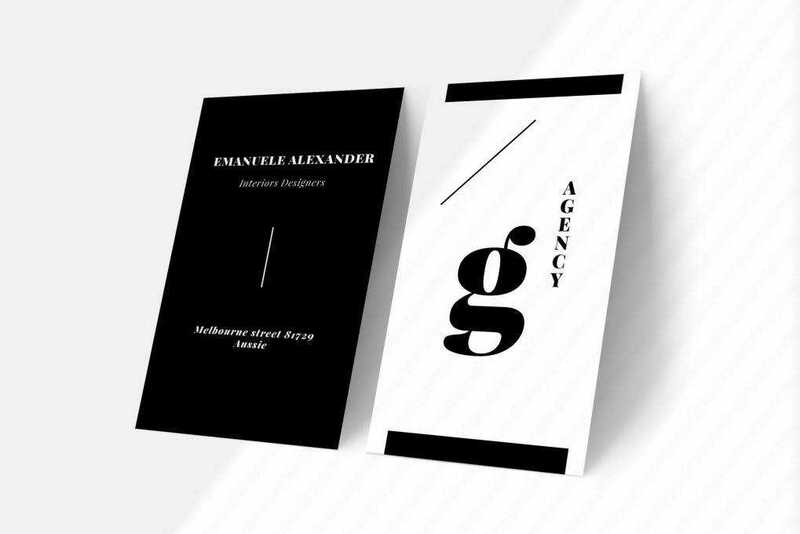 The Agency Business Card features an elegant design that can be used by creative agencies, artists or any other high-end businesses. The template includes both the front and the back design and can be edited with Adobe Illustrator. 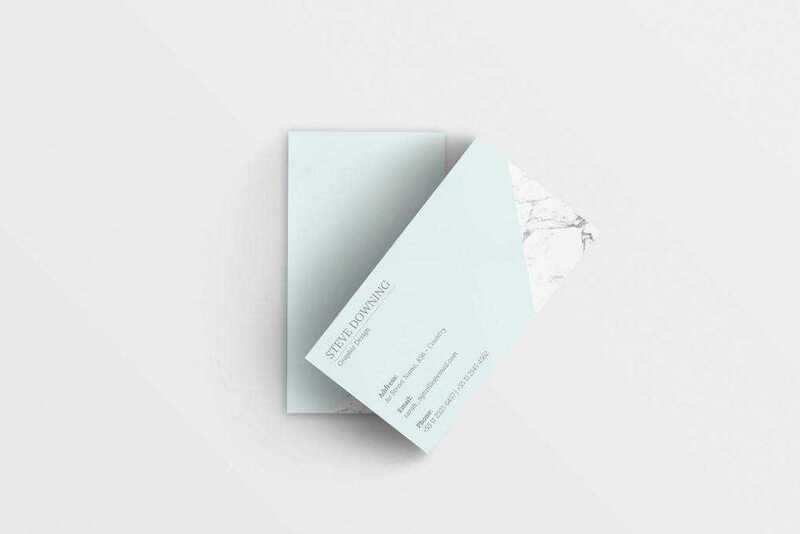 As the name suggests, this Minimal Business Card template features a minimal design with a colorful background, but you can easily change the color or opt for a pure white background. The template is fully editable in Photoshop thanks to well-organized layers. 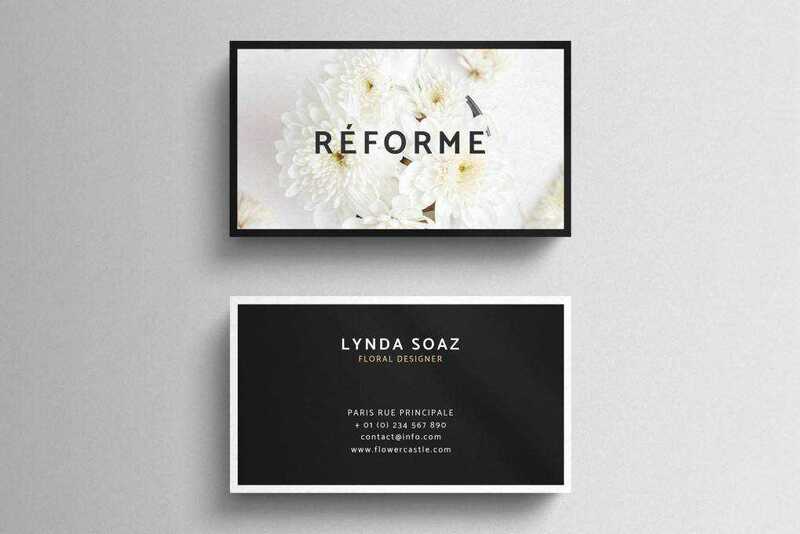 This simple business card template features a vertical layout and elegant typography that makes it a great choice for fashion, lifestyle, architecture or design brands. The template was designed with Adobe InDesign and comes with defind paragraph and character styles for easy editing. 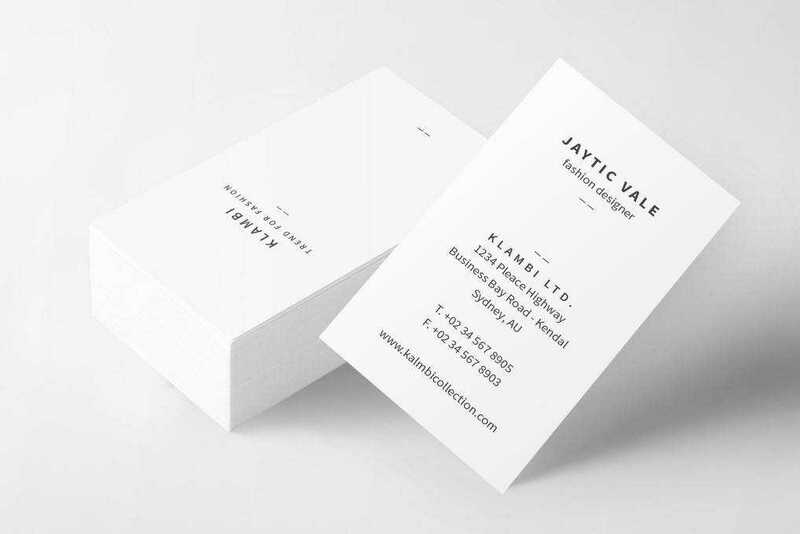 Consider the Minimal Business Card if you want a more unique layout for your business card. This template features a split front in two colors and a solid-colored back paired with a simple sans-serif font that gives it a more high-end look. 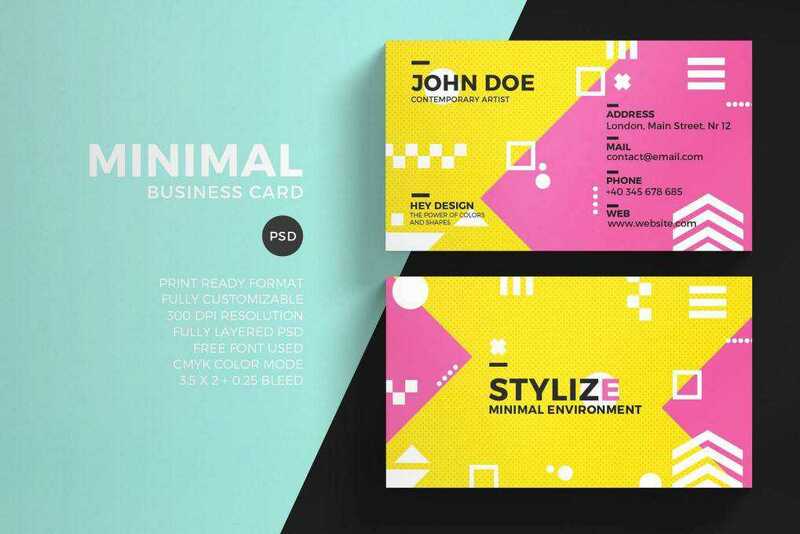 If you need a fun and colorful design for a company that sells products oriented towards children, this Colorful Minimal Business Card template is just what you need. 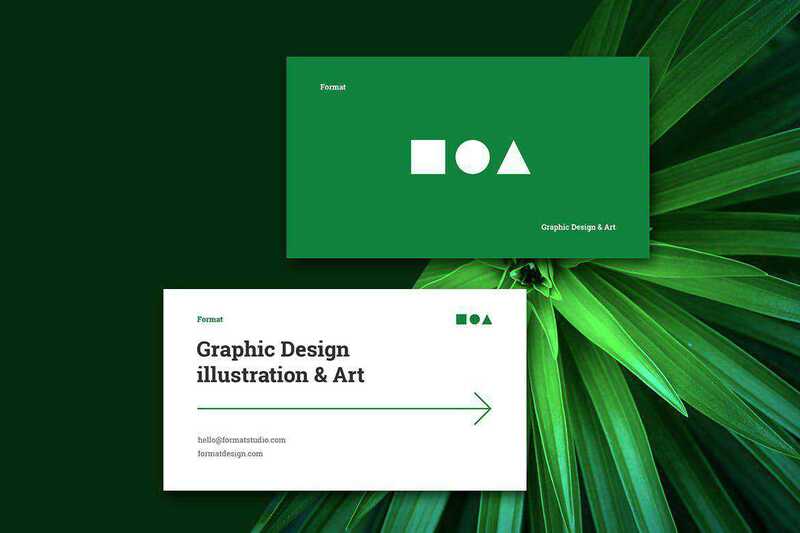 Featuring a creative layout that uses geometric shapes, this template is sure to make your business card stand out. This tropical business card template would be perfect for a florist brand or a travel agency. It was designed in Adobe Photoshop format and includes well-organized layers for quick and easy editing. An eye-catchy business card design makes your brand and business more memorable in the eyes of potential clients as well as business partners. Luckily, you don’t have to spend hours on the design process. 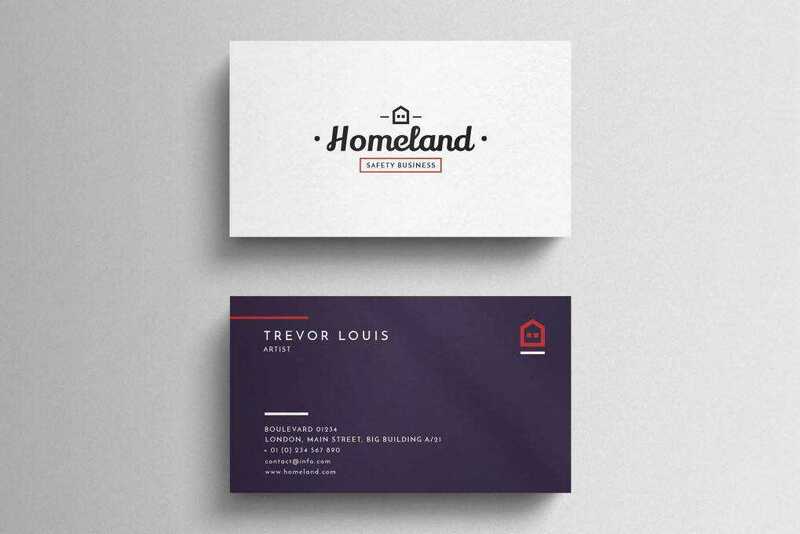 Use one of the templates in this roundup to quickly design a business card for your clients or for yourself.